The viewer’s comprehension of space is constrained by the consciousness of perception. Our spatial relationship to the known world has been illuminated by the advancement of science: we now acknowledge the three dimensionality of our presence in space. As individuals we cognate mentally from the linear quality of learning materials to the complex ‘reality’ of that which we have come to understand. When trying to comprehend what is infinite we are unable to establish the finite reality of endlessness. Infinity remains ‘flat’: literally trapped amongst the pages of philosophical doctrine. The development of this piece is driven by a fascination with the behaviour of the viewer when confronted with spatiality within an indefinable dimension. 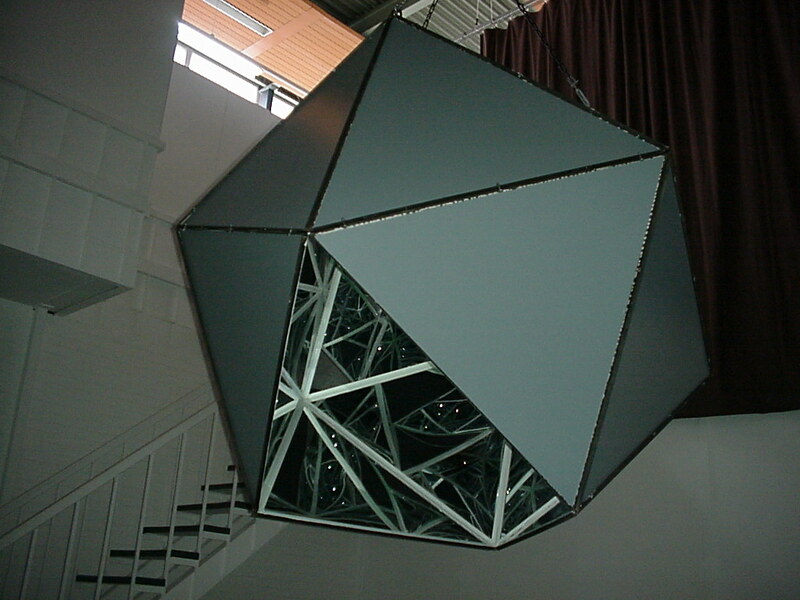 Space is represented within the tense exterior of the Icosahedral geometric shape. 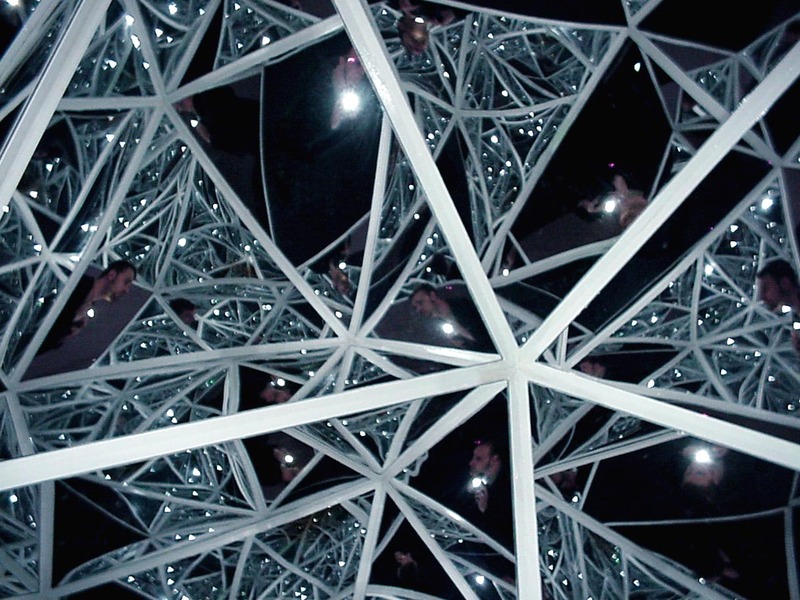 However, its infinite reflections dispel this initial aesthetic rigidity and instil a sense of wonder. Awe is essentially the outward expression of the incomprehensible: one’s first reaction is almost a sense of loss, a loss of spatial certainty. The live projection of the exterior serves to undermine the viewer’s preconceived ideas about space. At once enclosed and isolated in an ‘infinity’ –which in itself is a paradigm of spatial paradox- one is then confronted by the appearance of an image derived from the space immediately beyond that which we see as boundless. Now a god dances through me!